YouTube has begun hosting full-length TV shows on the website, thanks to a partnership with Channel 4. This means that shows like Father Ted and the IT Crowd are now free to watch, with more content being added to the site as we speak. 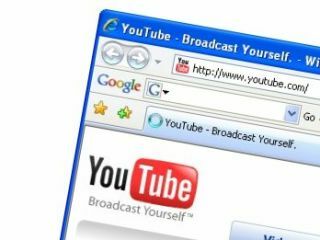 It had been rumoured for some time that Channel 4 was going to use YouTube as a hub for its shows. This doesn't mean that its on-demand channel 4oD is being neglected just that you can now access the service via YouTube. The Show channel on YouTube has now been filled with around 5,000 videos – this is a mixture of clips and full-length shows. Other broadcasters who have signed up to add their content include: BBC Worldwide, Turner Broadcasting, ITN, Classic Media, FremantleMedia, North One, Al Jazeera. There is some advertising to site through before you can view some of the shows, however, this seems to come in the form of a 30-second pre-roll ad. "The YouTube community has always enjoyed the vibrant range of video on the site, from amateur make-up videos to professional TV highlights and everything in between," explained YouTube's Director of Video Partnerships, Patrick Walker. "The Shows section of the site will make it easier for users to discover videos from the biggest names in British broadcasting, and help our content partners reach new audiences and generate new revenues."